02 May Do You Question Your Value as an Entrepreneur? 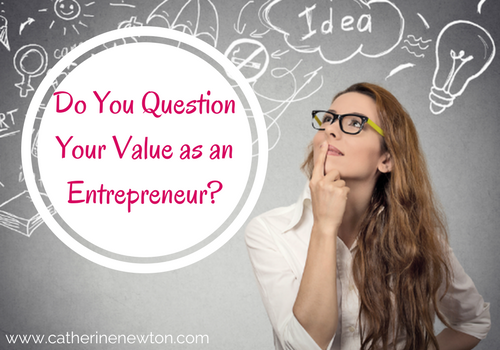 Have you ever found yourself questioning your value as an entrepreneur? When I started my first business as a life coach I would think, “Who am I? Why would anyone invest in my services.” To me, the biggest hurdle was me. But then I learned some super valuable ways to BE valuable. Undervalue yourself and you’ll find yourself undercharging. 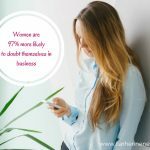 It usually shows up in not knowing what rates to charge, discounting your rates, or giving away your services for free. Hmmm… This is actually one of the major culprits behind not having enough clients and money. It’s time to stop devaluing your products or services, so you can see your full sense of value and worth. You wil never leave money on the table during a selling conversation ever again. When we cling to something too tightly, as if too much rides on the outcome, we set ourselves up for a fall. How do you know if you’re attached as you go into having a selling conversation? It’s super tricky to keep the selling focus of the conversation on the client when you’re in this place of attachment. Instead, the inner bully, as I like to refer to the thoughts that don’t serve you, start running through your head. You’re thinking ‘’ I have to get this client. If I don’t get this client, I’ll have to go and get a day-job. I can’t pay my bills. Everyone’s going to poke fun at me. My husband’s going to rub it in that this is never going to work….you get the drift right? And then your vibration drops – and you stop manifesting from a place of abundance. The client picks up on your fear, attachment or desperation. It’s not a good place to be. 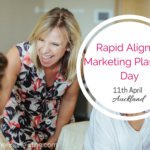 “How can I be authentic in my business, serve my clients AND let go of attachment – all at the same time? Whereas detachment is about trust, faith, focus and commitment. You just know to the core of your core you’re meant to be successful in this business, you know you’re meant to serve in the highest way, but you don’t need to know the how. That knowledge will change the way you do business. You absolutely can put all your practical selling pieces in place, but if you want to go further and deeper, reach more people and make more money doing what you love, then you would do well to master the art and science of detachment. This will create the ultimate transformation. The gap that needs bridging is about the challenge or problem your potential client is having. It’s the reason they sought you out in the first place. Something in their life is calling to be changed and it’s important that you take note of that and get clear about that. They have something that needs help and the key is that you are not just saying ‘Oh, that’s nice you have that going on’ but you’re diving in and really activating the gap. When you don’t activate the gap, you’re really only having a surface conversation. And a surface conversation equals surface results, and that will have you slipping right into the 3 B’s (bargaining, bartering, and bankrupting yourself). Now, when you don’t activate the gap, what also happens in the selling conversation is that you end up talking about yourself – your selling system, your clients, your programs, why they really need to work with you. That’s all good, but then you can’t really create a connection. If they can’t really create a connection, they can’t feel you. When they can’t feel you, they’re not motivated. And that is key. Catherine, once you understand your value … it’s time to reach out to your ideal prospects and be your Authentic Selling Self! You can listen in to my FREE LIVE tele-training to give you tips and motivation. Get listening here. I know it takes a special somethin’-somethin’ to shift gears mid-year and go from just getting by to getting more than what you want. I’ve done it. It’s how I first crossed the six-figure mark in 2010. It all began with a change I made mid-year. Listen in to the tele-training where I share the full scoop with you. Or if you know you need sacred support on your journey and you’d rather just talk to me, make a time to connect with me via a Complimentary Strategy Session. Click on the link and find a time that suits YOU and let’s talk about how you can make more money, serving more people, doing what you love.